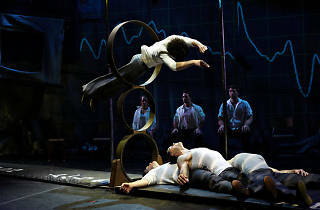 A popular show from Les 7 Doigts de la Main circus troupe that blends dance, acrobatics and street sports. 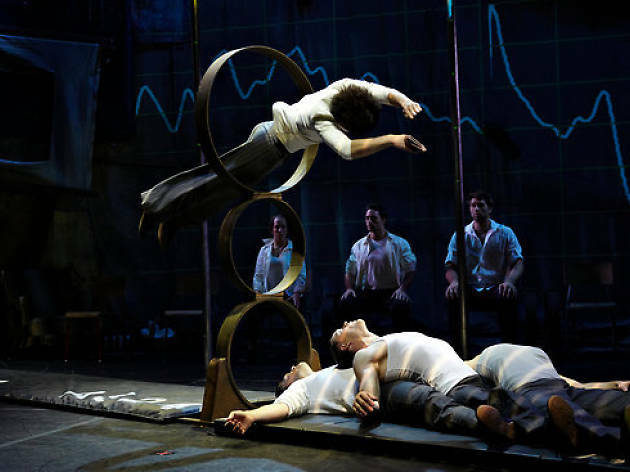 One of the world’s most renowned circus troupes, Les 7 Doigts de La Main, returns to Paris with ‘Traces’, which has already been seen by more than one million spectators and performed in over 200 towns in 25 countries. A true phenomenon, the seven-person piece plunges the spectator into a scene where a makeshift shelter made of tarpaulin and gaffer tape appears to be on the brink of collapse. The performers’ remedy to the impending disaster lies simply in expressing themselves though art (be it dance, music, acrobatics or even skateboarding), in a routine that’s equal parts funny and poetic. In the world of ‘Traces’, art is not only a life-affirming creative outlet, but also a necessity.